Mariza de Carvalho Soares, People of Faith: Slavery and African Catholics in Eighteenth-Century Rio De Janeiro. Translated by Jerry D. Metz. Duke University Press Books, 2011. 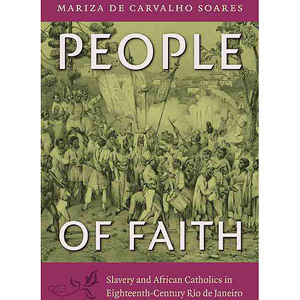 Soares was awarded the 2012 Roberto Reis BRASA Book Prize for People of Faith. For more information on the prize click here.